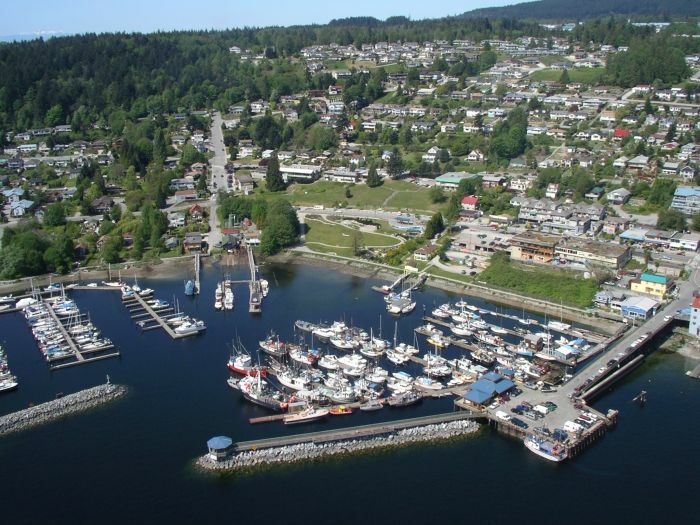 The Town of Gibsons is located just north of Vancouver, British Columbia on the Sunshine Coast. It has a population of approximately 4,400 and is roughly 1,000 acres in size. With limited resources for infrastructure maintenance and replacement, the Town is increasingly focusing on natural capital and the services it provides as a cost-­effective alternative. Nature, and the ecosystems services that it provides, is a fundamental component of the Town of Gibsons’ municipal infrastructure system. North America’s first community to experiment with strategies to integrate natural assets into asset management and financial planning. The Municipal Natural Assets Initiative (MNAI) is changing the way municipalities deliver everyday services, increasing the quality and resilience of infrastructure at lower costs and reduced risk. The MNAI team provides scientific, economic and municipal expertise to support and guide local governments in identifying, valuing and accounting for natural assets in their financial planning and asset management programs, and in developing leading-edge, sustainable and climate resilient infrastructure. This paper documents an emerging strategy to manage natural assets such as woodlands, wetlands, and creeks in urban areas as part of a sustainable infrastructure strategy. Specifically, the paper explores Canadian local government experience through the Municipal Natural Assets Initiative (MNAI) to identify, value, and account for natural assets’ contribution to municipal government service delivery, services that would otherwise need to be delivered by engineered assets. As part of series of guiding documents being developed in collaboration with the Municipal Natural Assets Initiative (MNAI), this report highlights how local governments can include private land and private landowners in a comprehensive municipal natural asset management framework. It is intended as a resource for local governments practicing municipal natural asset management, providing them with a review of why, in contrast to many engineered assets, a whole system approach, that includes private lands as well as public lands, is required to manage natural assets. This webinar was presented on April 13, 2017 by Sara Jane O’Neill, Senior Research Associate at Smart Prosperity Institute.